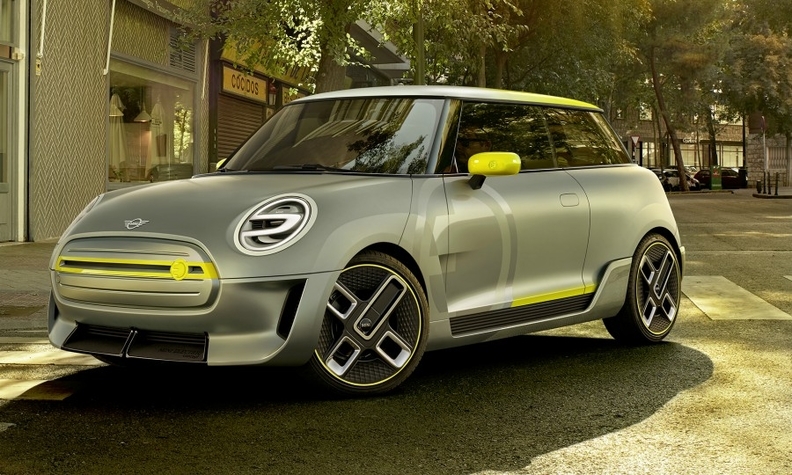 The upcoming Mini EV will be based on the Mini Electric Concept, first shown at the 2017 Frankfurt auto show. 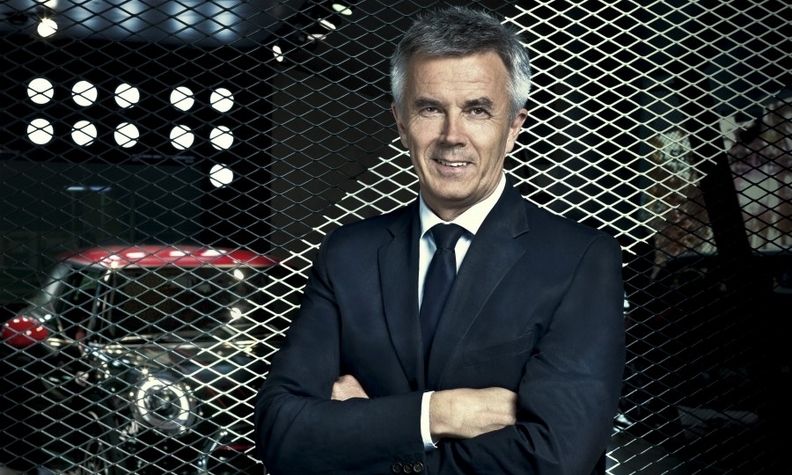 Peter Schwarzenbauer has led the Mini and Rolls-Royce brands to record sales during his six years as the BMW Group board member in charge of the brands. Starting this month, he takes on a new role within the automaker as the board member whose primary focus is to continue the group's electrification shift. His final task at the company before retiring in October will be to ensure the launch of the new Mini E full-electric car is a success. He talked about this and more with Automotive News Europe Correspondent Christiaan Hetzner at the Geneva auto show. Mini's 60th anniversary coincides with the launch of the Mini E three-door full-electric car. What can you tell us about the car's battery capacity or the electric range? We haven't revealed any details yet. We want to save that for when we get ready to debut the series production version, which will be before the Frankfurt auto show [in September]. Assembly in Oxford begins in the second half of this year and the market rollout is slated for early 2020. Electromobility is an excellent fit for our urban, progressive and open-minded customers. The success of the Mini Countryman plug-in hybrid, which accounted for 13 percent of the model's global sales last year, demonstrates that. To secure the long-term future of Mini, we will enable the range to be all electric, should the customer prefer that. The key issue is we do not know how quickly electric mobility will spread, so it was strategically important to leave this option open depending on the circumstance. Let me be clear, though, there will not be a single Mini model we plan to launch that a customer won't be able to order with an electrified drivetrain. The joint venture we founded in China together with Great Wall Motors is in part to ensure that. Will this electric platform you develop with your new Chinese partner serve as the sole architecture for all future Minis? No, we will also see Mini models built off a separate BMW platform -- electric ones, too. In February, BMW and Daimler announced plans to invest 1 billion euros in a mobility services joint venture. How long do you expect this amount of cash to last? We shouldn't view this issue through the same lens as our traditional business, where you invest a certain sum, there is a defined start of production and so on. It could be that tomorrow one of our services has an idea that wasn't part of the business plan and then the funds are exhausted more quickly. It's also possible the funds last longer than expected because attractive opportunities don't materialize. Market conditions change much more rapidly in this sector than in our more traditional business areas. MAIN CHALLENGE: Promoting the company’s focus on electromobility. While some pundits believe mobility schemes will reduce car ownership some road congestion studies suggest that these services actually worsen the problem. Which view do you agree with? The research results are mixed, but some studies show that in individual cases that overall traffic volumes can increase. Cities are now reacting by regulating these services more closely. As a mobility provider, this is an issue we need to solve. Ultimately, we will be able to address this far more efficiently once fully autonomous cars arrive sometime in the next decade. Last year Rolls-Royce sold a record 4,100 cars, 22 percent more than in 2017. What do you expect now that the Cullinan SUV will be available for the full year? The incoming orders exceed everything we have ever seen at Rolls-Royce. We planned conservatively to remain very exclusive, but we will nonetheless see a surge in volume in 2019. Importantly, however, the Cullinan is also changing the face of the brand. We are reaching customers now who have never before owned a Rolls.